Did Swatch Kill The iWatch? In news reported by the BBC, it seems that Swatch‘s opposition to Apple‘s application for an iWatch trademark in the UK resulted Apple’s smartwatch simply being branded “Apple Watch”. Overall, the ruling from the UK’s Intellectual Property Office upheld Swatch’s complaint that iWatch was too similar to iSwatch and Swatch, and shouldn’t be used for watches. Although we can’t be privy to the internal thinking of Apple, one could infer that the inability to claim the iWatch trademark in key markets back in 2014 killed iWatch in favour of Apple Watch when announced in 2015. The whole ruling is here, but aside from the trademark evidence, decision-making and ruling, there’s some interesting commentary on the use of shell company registrants, in this case BrightFlash USA LLC to hide the actions of Apple. If I read the judgement correctly (and I’m certainly not a lawyer), Swatch had tried to accuse Apple of “bad faith” by using BrightFlash to register the trademark, but the registrar dismisses the complaint and Swatch has to to pay Apple GB£2,767 on balance. You win some, you lose some. With Google Glass rolling out to a select few, copycats making a glass alternative and the rumors of an iWatch coming from Apple, it’s safe to say we are now entering into the wearable device era. This is where we get rid of the bulky desktop, laptop and even iPads and have information coming to different parts of our bodies. I am slated to get my Glass in the next couple weeks. For those who have Glass, they experience a new way to take photos, get navigation and try some of the new apps coming out for this wearable devices. In hearing all the stories of Glass, I have not heard anyone say much bad stuff about the headgear – as in wishing they never bought glass. There have been concerns about the battery being close to the head and the fact it was grossly underpowered for the $1,500 price tag. 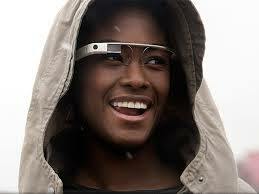 When Glass becomes a consumer product, that $1,500 price tag will most likely drop to 1/3 that. 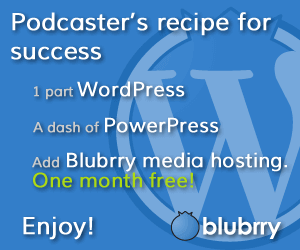 The design looks pretty bulky right now – expect it to be more streamlined in the consumer model. Of course, this will make our way to actual glasses with the device attached. Maybe even a contact that will use kinetic power to run. The rumors of Apple coming out with a bluetooth connect watch to let us glance at our wrists without pulling out the phone for text messages, phone numbers and more (like when your Clash of Clan’s canon has been upgraded or the shield is running out). The watch will probably work like a nano – with music storage and limited apps. Its not the first watch – related technology out there. 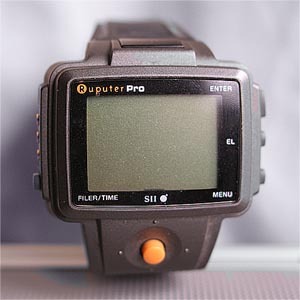 Back in the 90’s, the Ruputer was one of the first computer watches out there that could connect to a computer. More recent, items like the pebble watch have been out for a while. Companies like Sony, Fitbit and more are using your wrists to monitor your health – which will most likely be incorporated in the iWatch. What is Next in Wearable technology? I remember listening to Dr. Michio Kaku a couple years back in what he expects to see in the next 50 years. Intelligent toilets and pills that can explore the body and send the details back to a doctor are some of the things he mentioned. But what else could we see? Maybe a T-shirt that warms you up when cold or cools you down when hot? Last week we learned about the science of a 3D printed cast they are developing – being lighter and better in the healing process because air and water can get to the arm or leg with the web-like structure. What if sensors were put in that cast so your device can monitor not only if the cast breaks but if blood flow gets obstructed during the healing process? It could then transmit to your doctor the second it detected a problem. Remember Marty Mcfly’s shoes from Back to the Future? Those are really around the corner – and we’ve already connected shoes to a mobile device. A pacemaker has wireless connectivity to collect data and report problems. What other items can we come up with in the next 50 years as the Wearable device revolution gets into full swing? Comment below!